Note: All backcountry campers in Rocky Mountain National Park must have a bear-canister. The East Inlet trailhead is accessed via the town of Grand Lake on the west side of Rocky Mountain National Park. 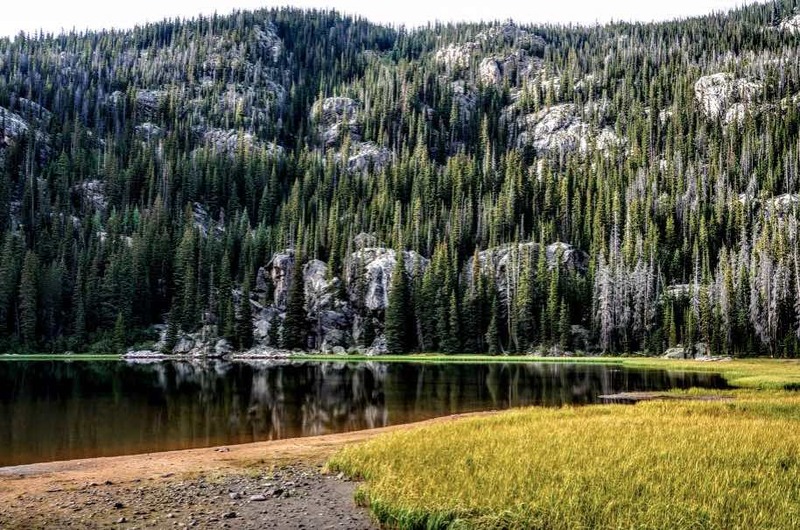 Grand Lake is Colorado’s largest natural body of water and the gateway to many of the area’s backcountry adventures. 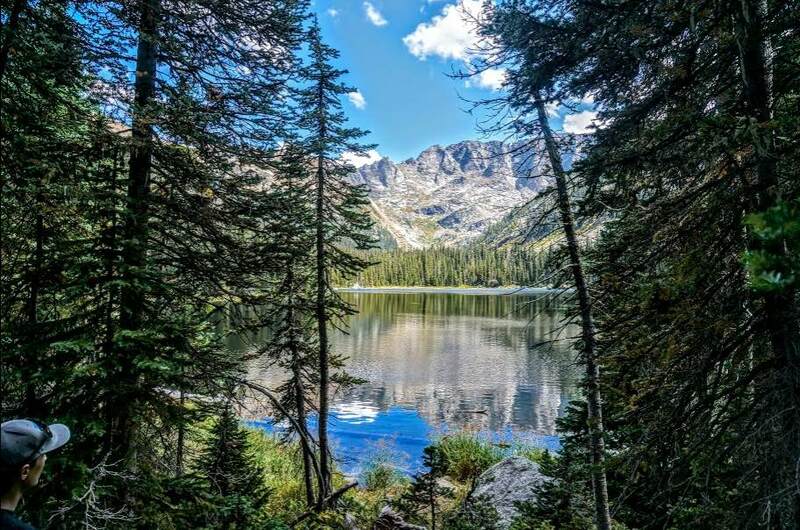 If you’re coming from Colorado’s Front Range, you can get to the trailhead two ways: via I-70 to Berthoud Pass (through Winter Park and on to Grand Lake), or via Trail Ridge Road through Rocky Mountain National Park. Note that Trail Ridge Road closes seasonally during the winter, so be sure and check that it is open before heading out. Either way, once you reach Grand Lake you’ll look for W. Portal Road/Highway 248, which will take you directly to the East Inlet trailhead while avoiding central Grand Lake and its tourist traffic jams. The trailhead has plenty of overnight parking, as well as public restrooms. Note that you must have a backcountry permit in order to park here overnight. 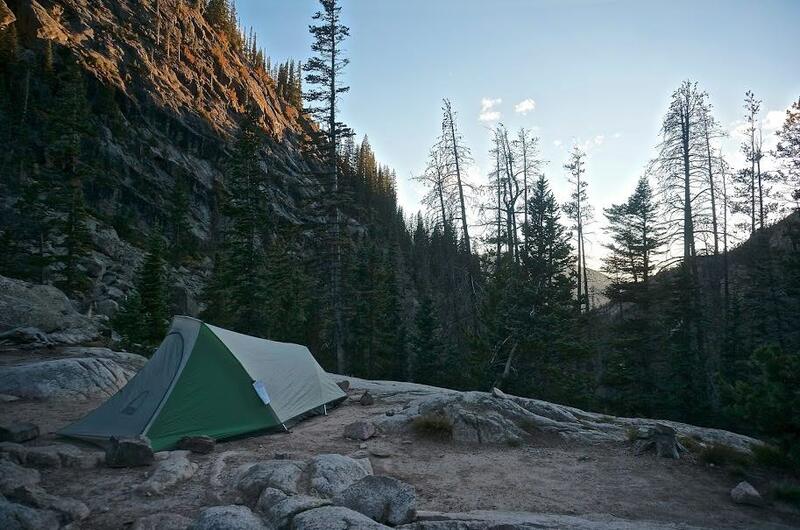 You are required to have a permit to camp overnight in the wilderness of Rocky Mountain National Park. Permits are reservable for the summer season beginning on March 1st through the National Park website. You’ll need to know your preferred dates, as well as which campsites you’d like to book. The fee is $26 per trip and does not include the park admission fee. On the morning of your trip, stop by the Wilderness Office at the Kawuneeche Visitor Center to pick up your permit. Be sure to read the entire RMNP Wildness Camping Guide before setting out. 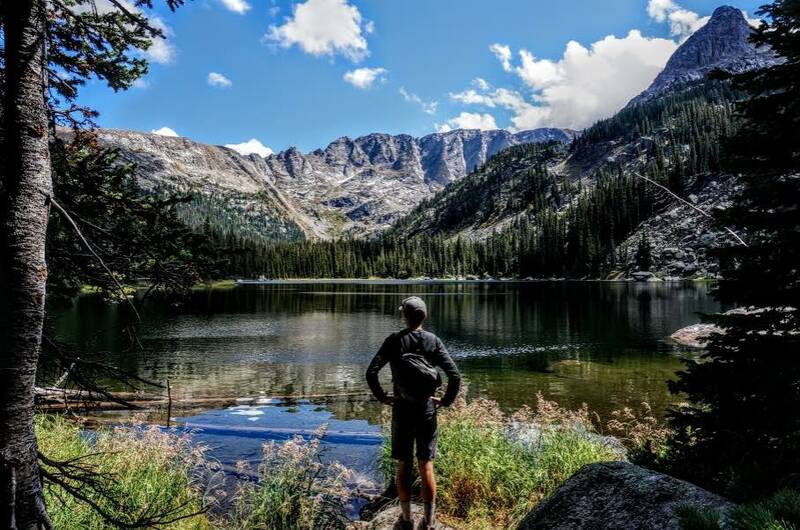 Our favorites are the Slickrock campsite for its spectacular views and isolated location, and Lake Verna for its lakeside position and location near the terminus of the trail. We’d recommend at least reaching the Cat’s Lair site if you’re backpacking, as this will get you further into the park where the crowds tend to thin out. Upon leaving the trailhead, you’ll begin your hike along the East Inlet trail. If you’ve set out on a nice summer weekend you’ll likely be joined by quite a few other hikers at the start, but don’t worry, the crowds thin further up the trail. The first few miles of the trail are relatively mellow, and you’ll enjoy some incredible views up the valley. Be on the lookout for wildlife here, as moose are known to love the marshy areas near the trail. After approximately two miles, you’ll reach the Lower East Inlet campsite and the trail will begin to gain elevation. After a short and steep section, the trail begins its undulating climb to the idyllic Lone Pine Lake, passing the Cat’s Lair and Gray Jay campsites along the way. From here it’s a short jaunt uphill to the Slickrock campsite, located 6 miles from the trailhead. Continuing past the Slickrock campsite, you’ll travel through pine forest for under a mile before reaching the stunning Lake Verna. The Lake Verna backcountry campsite is adjacent to the lake and makes for a beautiful spot to spend a night. From here the trail continues to the smaller Spirit Lake and ultimately Fourth Lake, although the trail thins out and becomes difficult to follow past Spirit Lake. If you’re backpacking, be sure you’re camping at a designated spot with a proper reservation and the required bear-canister. To return to the trailhead and your car, simply reverse these directions and follow the trail back out. The map below shows the route and you can use this link to open it in a new window. As always, this map isn’t intended to be used in the backcountry – only to provide you with a general overview of the hike. Be sure you’re carrying a copy of National Geographic Trails Illustrated #200 and that you know how to use it!